own day of the week. Introducing Sonny’s Sundays. 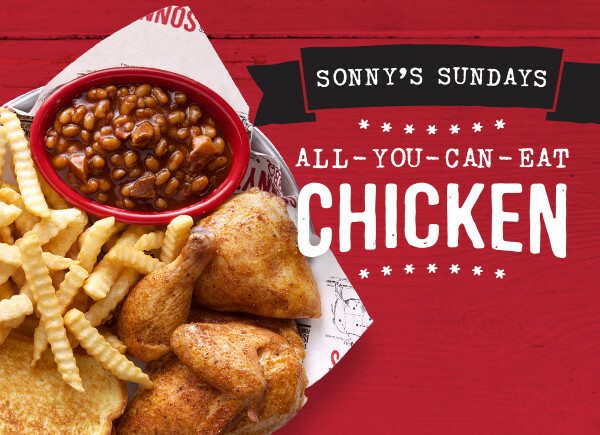 All-You-Can-Eat Chicken all day, every Sunday. Enjoy all the tender, slow-smoked chicken you can eat, served with any two Sidekicks and choice of bread.